When it comes to retirement planning, how much is enough? Our goal is to help you determine that, and to guide you as you work toward a positive experience in the second half of your life. As a saver and a steward, you could be more free to serve during your retirement if your finances are well planned. BDC Capital Management helps you make this happen, with more than 30 years of experience in financial management. We’ll work with you to determine your comfort level of risk, and through allocation diversification, we can help minimize that risk. Our services in this area include? Retirement planning is a long-term event, and during that time, world issues, markets, tax laws and regulations will change many times. So you need a company that will be by your side to serve you. Let us help you outline your retirement objectives as the first step to meeting your retirement goals. 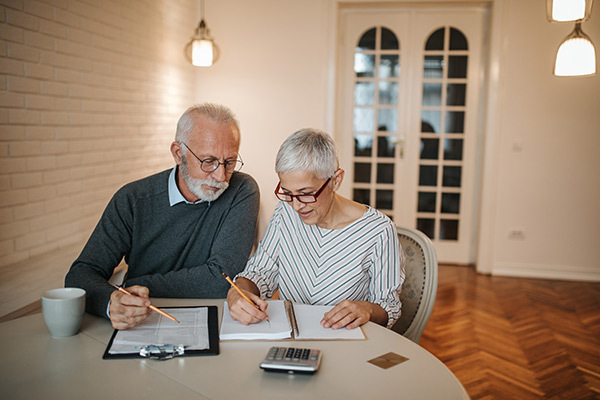 If a first retirement consideration relates to the financial means of maintaining your lifestyle, a second consideration relates to your new found retirement freedom. In retirement you are free to employ your time, talent, spiritual gifts, and financial resources in the service of your faith. In retirement you're standing before a doorway that could open onto the greatest adventure of your life, a journey towards spiritual significance through greater service to others, or in support of a cause for which you have a God-given passion — will you open the door? Can you open the door? Your answer may very much depend on the savings and investment decisions you make during your working years. At BDC Capital Management, we delight in long-term relationships with our clients. We work with you before and after retirement to formulate viable plans of action based on current investment assets, employer-sponsored savings plan balances and projected future savings rates. Retirement planning usually presents significant, sometimes unique, tax and investment management issues. We can help you make confident, informed decisions. The Bible states that you are obliged to provide for your family. BDC is honored to help you in this pursuit by bringing you disciplined tactical investing. And since we use a Biblically Responsible Investing approach, you know your finances will always be in line with your beliefs. We all have to work to save for our retirement, but for many, the ups and downs of life and the market can make this a challenge. The key is to diversify to minimize risk. We can help you make confident, informed decisions that will put you on the path to retirement – and we’ll be with you every step of the way. With the right planning, future generations can be more comfortable financially – and you can also help ensure that your values live on through Biblically Responsible Stewardship and Estate Planning. This site is published for residents of the Unted States only. Please note that not all of the investements and services mentioned are available in every state. Investors outside of the United States are subject to securities and tax regulations within their applicable jurisdictions that are not addressed in this site. Contact us for information and availability. Copyright © 2013-2019 BDC Capital Management. All Rights Reserved. BDC Capital Management is an Independent Investment Advisory Firm.